Our most treasured chocolates presented in the luxurious gold gift box. 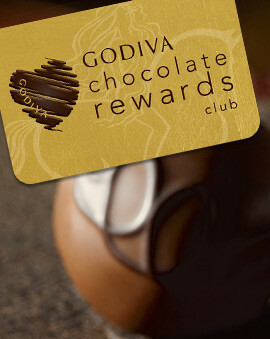 The Gold Collection is the iconic GODIVA gift. Assorted Chocolate Gold Gift Box, Spring Ribbon, 8 pc. 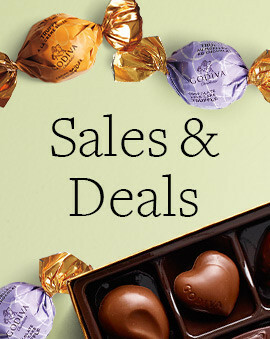 Gold Discovery Chocolate Gift Box, 12 pc & Assorted Chocolate Signature Truffles, 12 pc. Presented in a luxuriously-crafted golden gift box featuring our most treasured chocolates, gold ballotins from GODIVA come ready to gift, serve, savor and share. 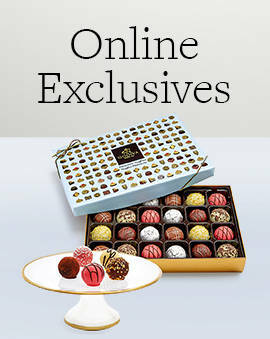 These gold gift boxes are a luxurious chocolate present that will set you apart from all others. Not only is the gold gift box itself a magnificent display of a luxurious gift, but the chocolate inside will also provide a delicious surprise. Whether you are going with a gold theme or simply want to give a fancy gift, the gold ballotin is a perfect choice. 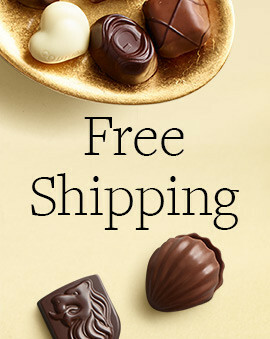 The gold box features the tastiest dark chocolate and milk chocolate pieces. Additionally, it comes with a beautiful ribbon in many colors. 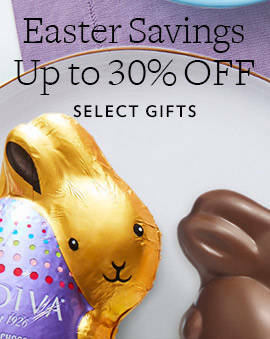 But if you truly want to make a statement, personalize your gift and add a special message. If they didn't already feel special receiving the gold gift box, they definitely will when they see that you customized the gift just for them. And for other great opportunities to give someone a gold ballotin or another delicious chocolate gift, check out our raffle basket prize ideas, retirement gifts, engagement gifts, thank you gifts, and housewarming chocolate gifts .